Peaches, Apples, Sweet Bell Peppers, Celery, Nectarines, Cherries, Pears, Grapes (imported), Spinach, Lettuce, and Potatoes. Studies have shown that berries benefit your health in many ways. Berries lower your risk of Parkinson’s disease, slow aging, fight cancer and the purple colored berries may prevent Alzheimer’s disease and multiple scleroses. Blueberries have the highest amount of antioxidants, they protect against urinary tract infections, cancer, age related health conditions, brain damage from stokes and may reduce the build up of bad cholesterol. They contain vitamin A and C, zinc, potassium, iron, calcium and magnesium. They are high in fiber and low in calories. The perfect diet food! Strawberries are second only to blueberries in antioxidant activity. They too are rich in dietary fiber. 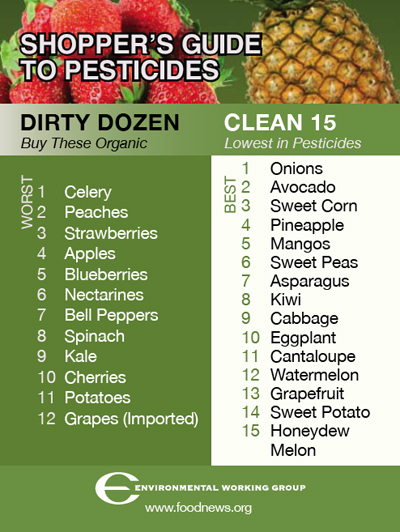 Strawberries contain a phytochemical that has been shown to fight carcinogens. They contain manganese, folic acid, potassium and more vitamin c than any other berry. Raspberries contain cancer fighting phytochemicals, calcium, vitamins A, C, and E. and also folic acid. Cranberries are known for their ability to treat urinary tract infections. Along with this ability cranberries also protect against cancer, stroke and heart disease. These berries are rich in polyphenols a potent antioxidant that may reduce the risk of gum disease and stomach ulcers. They may also inhibit the growth of human breast cancer cells and decrease the levels of bad cholesterol. Avocados surprisingly are also a berry. These wonderful berries are rich in monounsaturated fat, which is a great source of energy and they contain twice as much potassium as a banana. 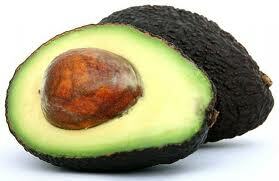 Avocados also contain folate and are one of the best sources of vitamin E available. Research has also shown that they protect against liver damage. These great tasting berries also protect you from cancer, cataracts, macular degeneration and along with all of this they have been shown to lower cholesterol. As you can see berries are definitely a super food. They are inexpensive, available year around, easy to prepare so add them to your daily meal plan and notice the difference in how you feel!